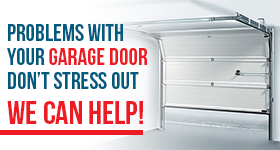 The garage door operation consists of many parts that can eventually fail after years of wear and tear. Most garage door parts are designed to survive a certain number of opening and closing cycles. One of those parts is the garage door cables. Our Garage Door Repair Brampton experts can install cables for new homes or commercial settings, or offer garage door cables replacement in existing locations. The type and size cable used depends on the garage door specifications. Whether we are installing garage door cables or replacing them we know how important it is to keep a large assortment in our mobile units. We want to get to your location fast and have the right cable on hand to provide efficient service. A garage door broken cable is nothing to play with because it leaves your garage door unstable. 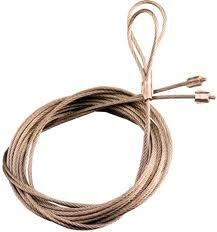 If your garage door cables keep coming off than chances are they are too loose. A garage door cable off the drum can be easily resolved by one of our highly trained professionals. If your garage door cables snapped that is a horse of a different color, but can still be addressed fast. If you notice your garage door cables broke pick up your phone and call us right away. A cable that has broken in two cannot be repaired, it must be replaced. At Garage Door Repair Brampton we are completely devoted and focused on delivering all aspects of garage door service. Replacing cables is only one of our specialties. We can provide repair services for garage door springs, garage door openers, garage door remotes and much more. Don’t put your cables in the wrong hands; let our experts do the job right.